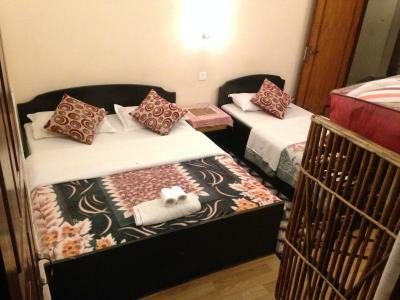 Lock in a great price for Hotel The Cherry Garden – rated 9.4 by recent guests! The staff and owner are very supportive and also helped us with tips and tours. The shower was hot and room with a view. Location was good. Reasonable stay. Walking distance to the lakeside. Quiet. It was a good atmosphere at the Hotel Cherry Garden. It has a nice garden and is locaded in a peceful and central aria. The staff is very friendly and helpful. The breackfast also taste verry good. The hotel stuff is extremelly nice and helpfull, the hostel has got a very good location, very close to the lakeside and around 20 mins from the tourist bus station. It is possible to book trekking here as well as paragliding, bus tickets and so one. Room is nice, clean and the bed is confy, nice garden to hang around during evening. I really recommend it! Der Besitzer der Unterkunft hat sich sehr bemüht alle Gäste kennenzulernen und eine Lösung für jedes Problem zu finden. Der Garten ist wirklich schön. Operating a 24-hour front desk to welcome and assist guests, Hotel The Cherry Garden is located 1,000 feet from the beautiful and serene Phewa Lake. Free Wi-Fi access is available. Offering a mountain view, the simple fan-cooled rooms here will provide you with a balcony and a seating area. Private bathrooms come with a shower. At Hotel The Cherry Garden you will find a garden and a terrace. The property offers free parking. The World Peace Pagoda and the Devi’s Fall are 3.1 mi from the property. The Tourist Bus Station is 1.3 mi away and the Pokhara Airport is within 1.7 mi. Cherry Garden Restaurant serves multi-cuisine. 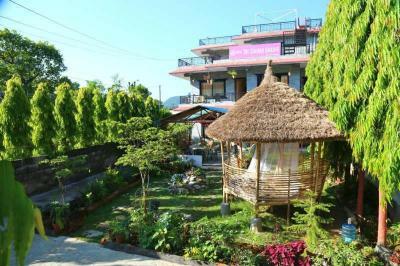 뀐 Located in the top-rated area in Pokhara, this property has an excellent location score of 9.4! When would you like to stay at Hotel The Cherry Garden? This bright and spacious family room features a balcony and seating area. It has an attached bathroom. It offers stunning views of the surrounding mountains. 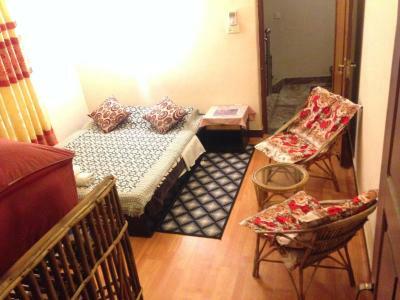 This double room has a balcony, mountain view and seating area. This room features a Wi-Fi and a shared bathroom. House Rules Hotel The Cherry Garden takes special requests – add in the next step! Hotel The Cherry Garden accepts these cards and reserves the right to temporarily hold an amount prior to arrival. Please inform Hotel The Cherry Garden of your expected arrival time in advance. You can use the Special Requests box when booking, or contact the property directly using the contact details in your confirmation. Didnt like the dirty carpet. Should remove it. Gives the stale smell. Nothing, everything was very good! Very nice family absolute stay amazing garden with snow captured view Green hill Focus front of many different flowers and Whit Himalayas .